Tahalís There are 45 products. 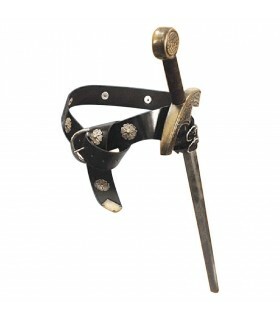 Thali double adjustable leather sword and dagger ready and ready to grab the belt. Ideal for LARP and recreationists. Thali Renaissance style shoulder bag made of leather. Very seen on pirates, musketeers and gentlemen of the Renaissance. 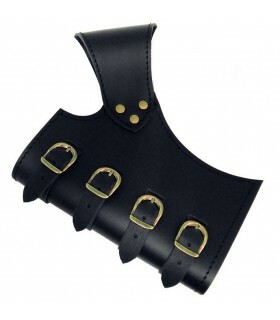 Ideal for carrying sabers or swords loop. 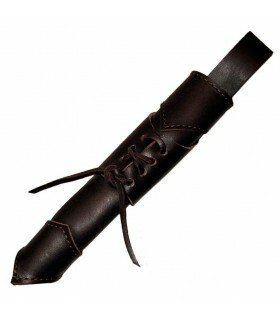 Gladius Sword harnesses made of cowhide leather 2mm. thick. Adjustable with 2 side buckles. Article handcrafted leather of the highest quality. Thali with hospital Templar cross to put on belt and hanging sword. Thali metal to start hanging sword belt and flat bar. 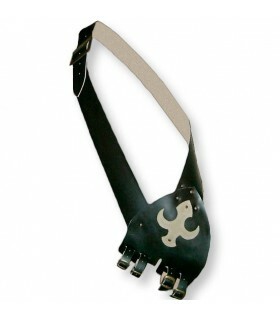 medieval Tahalí made in premium leather with a thickness of 3 mm to the belt by two straps. It is a thali fencing made of craft designed for swordsmen of any level. It is suitable for both metal swords to combat soft swords. Hookah for door ax or similar. 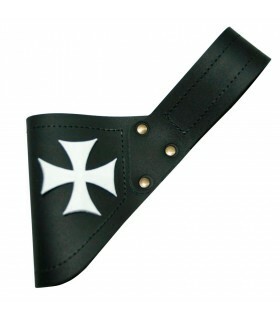 Made of high quality leather. 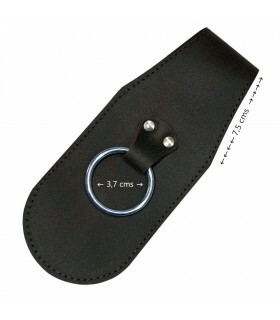 It is placed in the belt (maximum 75 mm wide) with a fixed attachment. 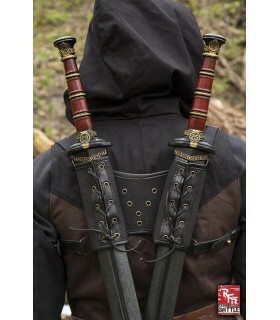 Tahalí double for the back designed to be able to carry 2 swords LARP in your back. Manufactured to withstand the harsh battles, the straps are made of cotton hard and the 2 tahalís cotton hard lined with leather. Each tahalí measures 16 cms. long and fit to be able to carry a variety of weapons. Thali to carry a sword in the back. Hook handcrafted leather to place any type of pod. 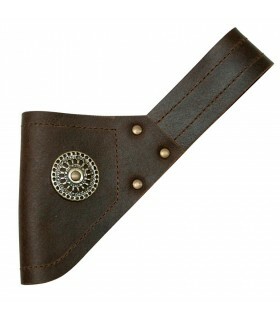 Belt clip. Adjustable, for hanging or dock naked sword in its sheath. 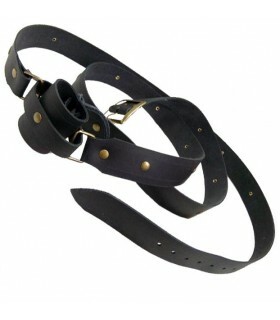 Adjustable with two straps to the width of the belt. Possibility to do it in any color. Consult. Thali belt. Adjustable, for hanging or dock naked sword in its sheath. 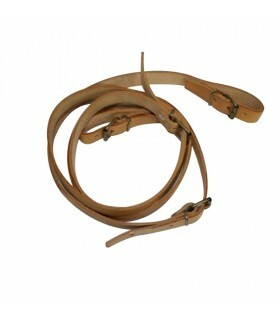 Adjustable with two straps to the width of the belt. Thali to brown belt. Adjustable, for hanging or dock naked sword in its sheath. 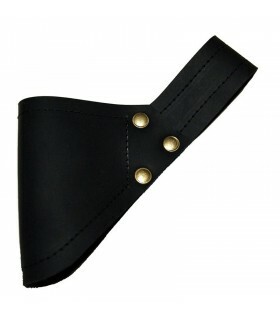 It is placed in a fixed fastening belt and a belt up to 75mm wide. 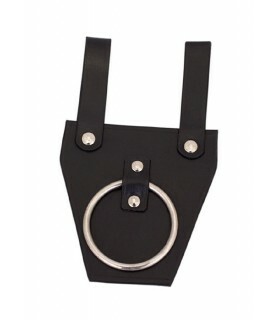 Thali for self-adjusting belt buckles (the thali is not adjustable, only buckles). 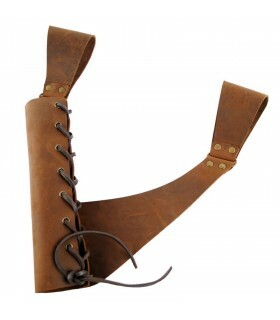 Ideal for hanging the sword unsheathed. 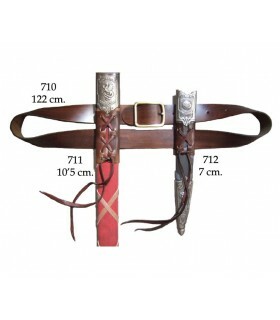 Adjustable with two straps to the width of the belt. Article made by hand with the highest quality leather. 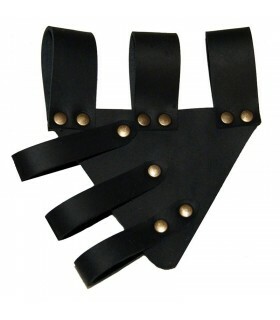 Thali for knives or daggers ready to hang on belt. Made in premium leather. 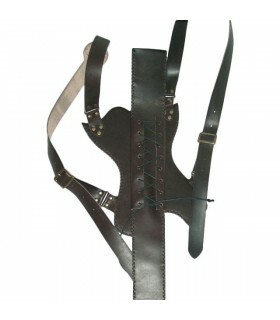 Composed of two independent parts, Tahli holding the sheath and hang the belt, and another part that is open below the sheath to place knives of any length. Along the sheath, 20 cm. Tahalí total length, 28 centimeters. Spanish Tahalí belted prepared for rapier. Made in 2mm cow leather. thick. Thali to hang on the belt sword unsheathed. Article written by hand leather of the highest quality. Thali to carry an ax on his belt. Made of black leather. 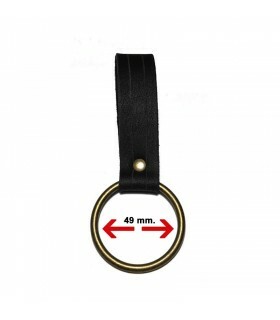 Ring diameter: 6 cm. Thali simple self-adjusting to hang sword. 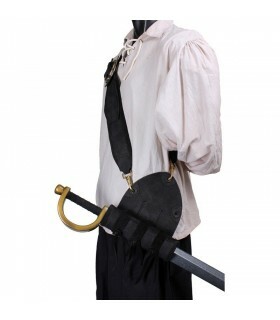 Baldric shoulder ideal time to carry sabers or swords seventeenth and eighteenth centuries Renaissance. Adjustable both long to the sword. 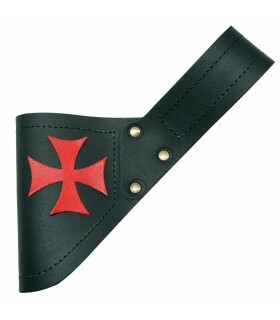 For any modification of the model, incorporating some reason as cross Santiago, Templar ... please contact us. Skin thickness: 3mm. Tahalí made of thick 3mm leather. To hang sword with or without sheath. 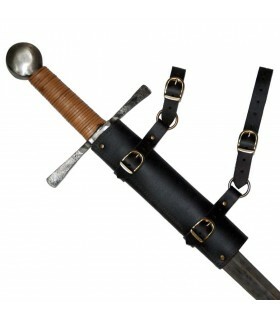 Adjustable by straps to the width of the sword. Suitable for most swords even SoftCombat. Maximum belt width up to 9 centimeters. Tahalí scaly skin self-adjustable in brown tones ready to put on the belt. 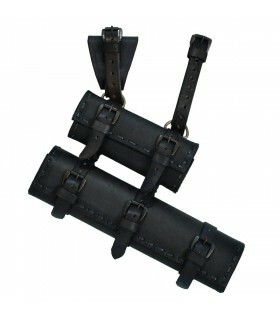 It is self-adjustable to the belt by two straps. 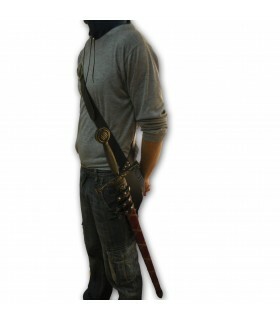 This tahalí is indicated for swords of foam softcombat and steel. 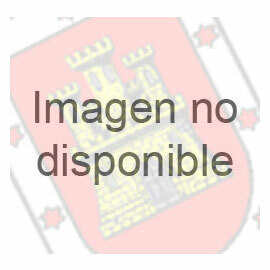 Diameter of the hole for the sword of 20 centimeters. 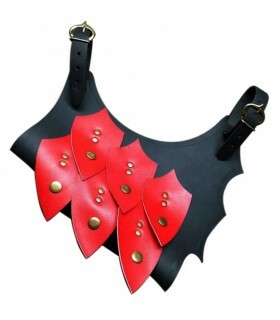 Tahalí scaly skin self-adjustable in red-black ready to put on the belt. 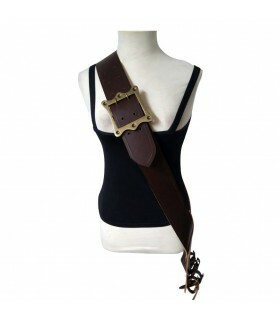 It is self-adjustable to the belt by two straps. This tahalí is indicated for swords of foam softcombat and steel. Diameter of the hole for the sword of 20 centimeters. 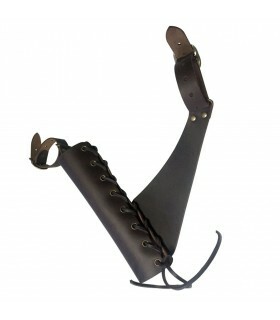 Tahalí designed to carry the sword of William Wallace made in brown leather, very resistant and with adjustable front. The tahalí measures 183 cms. approx. It is a piece (complement) made of several materials that is used to attach a knife, a dagger or a sword without having it in the hands. Its shape changes according to the cutting blade that has to be held. 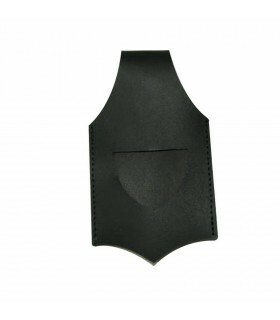 The belt baldric normally has one or more holes to be attached in a correct way. 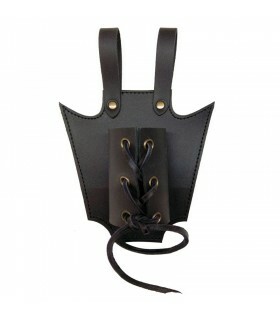 Strap Baldric: It was used mostly by the Musketeers in order to hold the rapier sword. 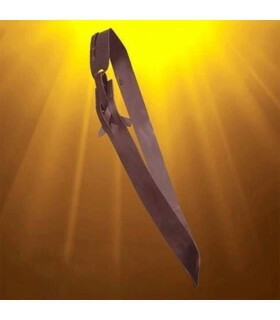 Simple Baldric: It is used for swords with a straight blade. 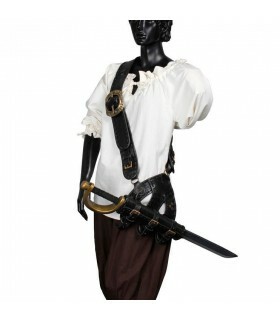 Foil Baldric: It has straps to fit the blade of a foil. 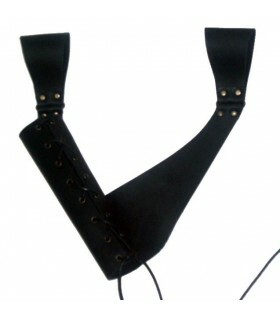 Baldric for daggers: Logically its size is minor than of the others which are designed for swords, it is possible to adapt them thanks to its straps. 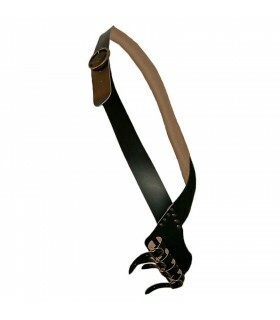 Baldric for axes: They have a ring to insert the axe's handle. 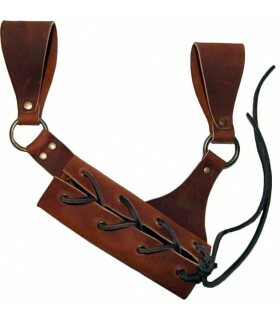 Adaptable Baldric: A kind of universal baldric, because it can be used for most of blades. There are also some belts with bauldrics included in them. 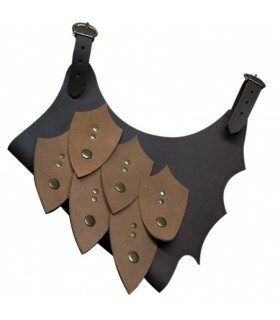 The history of baldric dates back to Antiquity. There are some documents which show Egyptians holding daggers or tools in their belts, besides of Romans with straps where their Gladius were kept. Templar Knights held their swords attached to the belt thanks to baldrics in order to avoid carry with extra weight during long journeys. A large number of Arabic nations used baldrics for its scimitars, however in Sahara desert sword was commonly held between the body and the belt, a kind of tradition which was usual in Asia for example, in Japan. At the Renaissance, bauldrics will become essential to hold ceremonial swords, which continues to happen currently in the army. 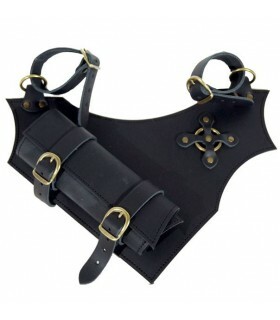 Nowadays, baldric is a very important piece for those who like to practise LARP, or simply take part in some a festival/recreation showing its sword. Most of our baldrics are handcrafted in Spain, using animal skin of the highest quality. We sell baldrics from several eras. 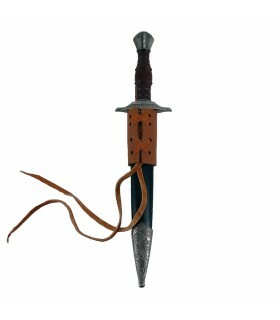 Sometimes it is difficult to find the most suitable bauldric for each sword, that's why we will try to solve your doubts if you contact us by mail, whatsapp or phone.